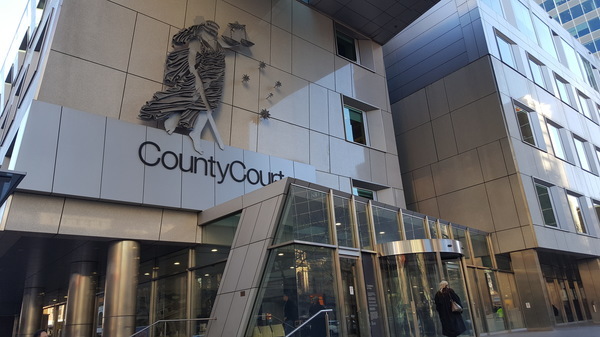 A homeless couple with a child on the way have pleaded guilty to holding up five milk bars in five days while wielding a hatchet, the County Court of Victoria heard. 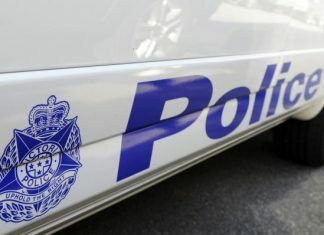 Matthew Euese, 22, and Theresa Manase, 21, both New Zealand born, were charged with four armed robberies and an attempted armed robbery in Dandenong North, Keysborough, Clayton South and Mulgrave in late November 2017. Their traumatised targets were often lone female attendants. On bail at the time, Euese would stand over them with a hatchet while demanding cash from the till and cigarettes. In the last robbery Manase joined in with a stolen knife and a baseball bat found inside the milk bar. The day after the last robbery, Euese and Manase were arrested after a violent attack on a patron and two staff at Spleen Bar in Melbourne on 30 November 2017. Euese punched a bar tender and an intervening patron both in the face. Manase throttled a bar supervisor and threw a full pint glass into her mouth, dislodging two teeth. In sentencing on 3 December, Judge Wendy Wilmoth noted the violence and injuries as well as the immense cost to the robbery victims. In victim impact statements, two of the proprietors told of selling up their business or having plans to get out. They’d reduced opening hours as a result of the robberies. One of them described fearing for her life during the ordeal, and suffering nightmares since. The other, twice victim of armed robberies, since chose to sit in a room at the back of the store and vet customers on CCTV. Judge Wilmoth also noted the couple’s “desperate” circumstances as well as their youth and immaturity. At the time, they had just lost both their jobs, been kicked out of two relatives’ homes and were living in a car that had just broken down. They were ineligible for Centrelink benefits and the morning-sick Manase required medical attention. Euese had relapsed into cannabis and ice use. Euese, while awaiting trial, had unusually saved $1200 to compensate the victims as well as worked to support Manase and their child. He had since written apologies to the victims, repaired his family relationships, hadn’t relapsed into drug use and immersed himself at church. Judge Wilmoth said his prospects of rehabilitation were good, his remorse genuine. Euese and Manase were facing possible deportation if jailed for 12 months or more. Judge Wilmoth jailed him for nine months with a longer than usual corrections order of five years. The jail term included 22 days remanded in custody. Manase was jailed for 167 days, which was already served in remand, with a three-year corrections order.